Despite changes in sovereignty and in religious thought, certain aspects of Iranian culture and identity have persisted since antiquity. Drawing on an exploration of history, religion and literature to define Iranian cultural identity and link the Persian past with more recent cultural and political phenomena, this book examines the history of Iran from its ancient roots to the Islamic period, paying particular attention to pre-Islamic Persian religions and their influence upon later Muslim practices and precepts in Iran. Accessible English translations of the pre-Islamic Andarz (Advice) literature and of the Adab (Counsel) genre of the Islamic era illustrate the convergence of religion and literature in Iranian culture and how the explicitly religious Adab texts were very much influenced and shaped by the Andarz sources. Within the context of this historical material, and in particular the pre-Islamic religious material, the author highlights its literary and ethical implications on post-Islamic Iranian identity. 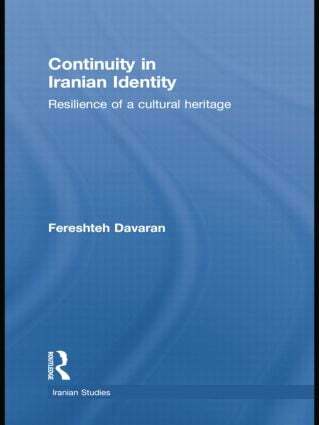 Exploring the link between a consistent pre-Islamic Iranian identity and a unique post-Islamic one, this book will be of interest to students of Iranian Studies, Middle Eastern studies and Religious Studies, as well as anyone wishing to learn more about Persian history and culture.